As the game between MI and RCB was getting tight towards the end, the Mumbai Indians needed 22 to win off the last two overs. 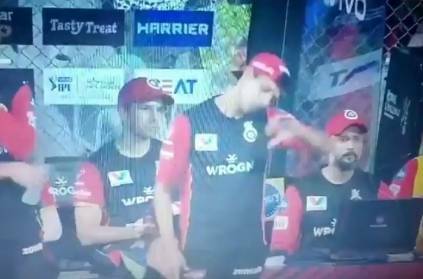 Virat Kohli was going for Navdeep Saini to bowl that over, but Ashish Nehra, the bowling coach of RCB signaled from the dugout to bowl the spinner Negi. This decision didn't turn out as he expected as Hardik Pandya smashed 22 runs of this over and won the game for the Mumbai Indians. Looking back, even though it didn't work out, it was not the worst decision considering the pitch was turning and spinners were the ones who had done the damage until then. Also with two right-handers in, bowling Negi could have worked. Unfortunately for RCB, it didn't go according to plan today and hence lost the match. This page contains news relating to various facts and events. The views are generally about current affiars and general topics in diversified areas such as political, international, national, and regional issues, sports, health, travel, lifestyle, technology and business. People having similar interets on the above topics will find this page useful. Ashish Nehra wanted Negi to bowl the 19th over but they lost | Sports News.